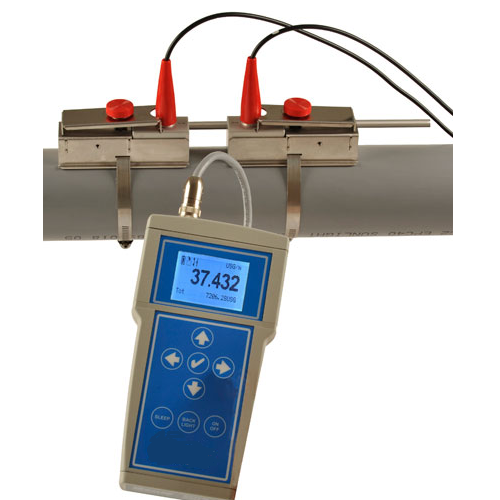 We are offering Ultrasonic Flow Meter Hand Held to our clients. It is manufactured using top quality materials and latest technology and tested under various quality parameters. Incepted in the year 2000, in Pune (Maharashtra, India), we “Jaycee Technologies Pvt. Ltd.” engaged in Manufacturing, Exporting, and Importing of the high-quality array of Level Switches, Level Transmitters, Flow Meters, Moisture Measurement Sensors and Density Measuring Sensors. These products are widely acknowledged for their compact design, rigidness, durability, precisely designed, easy Installation and high accuracy. The offered products are manufactured using quality tested raw material and ultra-modern techniques in compliance with the international quality standards. Owing to the best efforts of our experienced team of professionals, we have carved a position for ourselves in this domain by providing high-quality products. The offered range is checked on several quality parameters under the supervision of our quality experts.